At the CES 2011, Motorola officially announced Motorola Droid Bionic for Verizon Wireless, which is Motorola’s first LTE phone for Verizon. Motorola is always lucky with Verizon, because if you take a look at Droid X and Droid, both are one of the best selling Android devices in USA. Motorola Droid Bionic is a dual-core device and actually a challenger to its cousin over at AT&T which is known as Atrix 4G. Atrix is around from a long time now but no sign of Droid Bionic yet. It was expected that Verizon will launch it in Q2 but now according to Wall Street Journal, the launch of the phone is delayed. 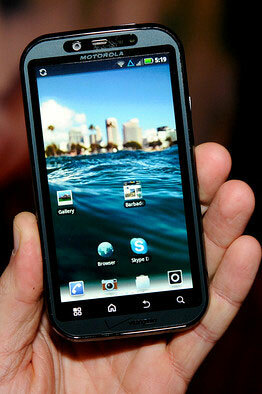 Motorola said that they will be making some changes in the device. We don’t know what type of changes but whatever it is, I am sure they are doing it for their customers good. They also said that instead of Q2, the device will be out in summer. So I hope Motorola will fulfill their promise. So people who are looking forward to Droid Bionic, lets have some patience because I know whatever Motorola is doing, they are making it even better and amazing. So are you waiting or you already got the Atrix?